1. What sports events are best suited for the area? Wilmington and beaches is best suited for youth and amateur sports events like soccer, baseball, softball, tennis, basketball, volleyball, golf, and football as well as the accessible sports, cycling, triathlons, disc golf, ice hockey, lacrosse, paintball, racquetball, roller derby, rugby and more. Watersports reign supreme here with access to both the ocean and the river so standup paddling and surfing competitions are popular events. 2. What is your largest indoor venue and what types of sporting events are held here? The Wilmington Convention Center is the largest convention center on the North Carolina coast, where cheerleading, gymnastics, wrestling and volleyball are some of the popular sports events held here. 3. How do I get permits to utilize space on the beach for a sporting event? The Wilmington and Beaches Convention & Visitors Bureau (CVB) sports sales manager will connect you to the appropriate contacts in Carolina Beach, Kure Beach and Wrightsville Beach. 4. My event requires a local organizing committee. How do I locate the appropriate contact? The CVB has a contact list of local organizing committees and their members for our area. 5. 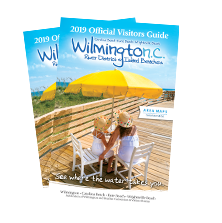 What professional and signature sporting events have been held in Wilmington and the beaches? 6. When are the best rates available for groups? Book off-season dates November through March for the best savings. 7. What kind of assistance does the CVB provide to sports events planners? The CVB staff can assist with pre-event planning, bid process, site inspections, program assistance, destination literature, and registration assistance.